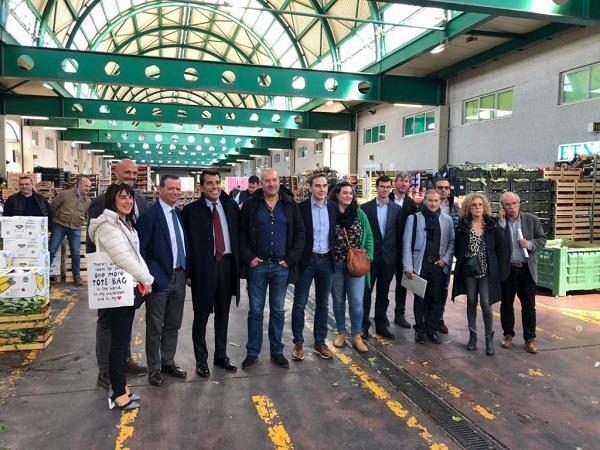 No, it was not a sports event, but a day's work between two big European wholesale markets: Mercabarna (Barcelona) and CAR (Centro Agroalimentare Roma). This visit of the Mercabarna management with a delegation of 6 companies aimed to meet the operators of the CAR, to learn more about the structure and to identify new development strategies. The BtoB meetings between professionals of the 2 markets have given full satisfaction. "There are so many opportunities for trade," said the participants. The objective is to "consolidate the already existing commercial relations and create new ones allowing the growth of our operators and those of Barcelona" emphasized Valeter Giammaria, president of CAR. The visit of a CAR delegation to Mercabarna is already planned and should take place in a few months. Mercabarna delegation to the CAR, a visit to consolidate and amplify the commercial relations between the 2 markets.